I realize I don’t share recipes as often as I used to on here, but I made the decision a while ago to only share those oh.my.goodness dishes when I came across them. Well, I came across one. We had this for the first time the other night and I admit, the kids need some warming up to it, but kids can be crazy. I on the other hand, can’t wait to make it again! It’s such a perfect fall meal. 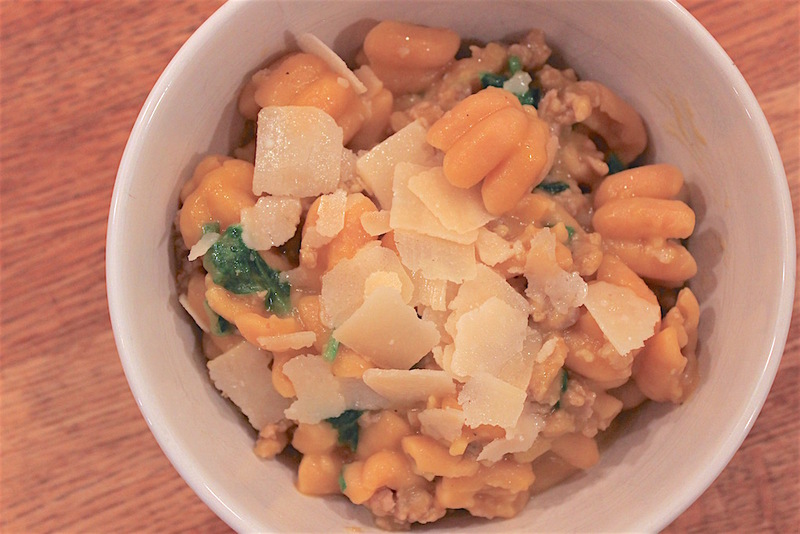 The butternut squash mixed with the sausage and topped with shaved parmesan makes for quite the flavorful combo. And the pureed butternut squash creates the most creamy sauce without the use of any cream. You can add any pasta you choose, but Trader Joe’s currently has this Fall Zuccehette pasta stocked which made it all the more festive. Give it a shot. And then let me know how much you loved it!